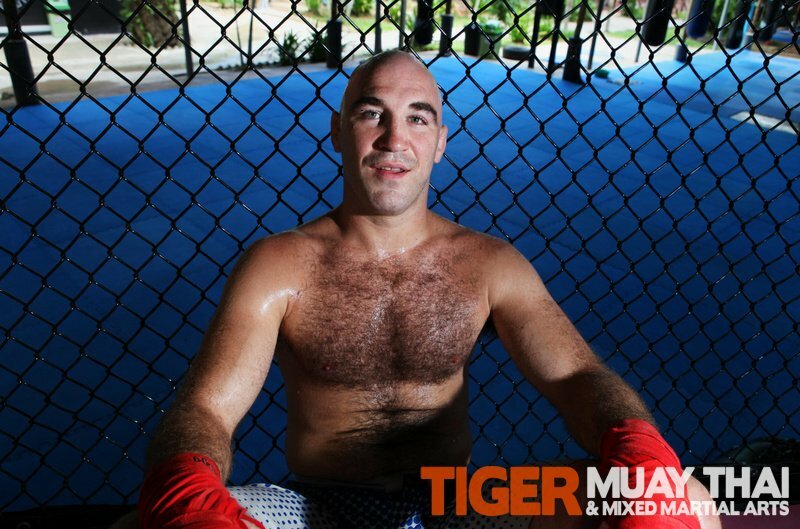 Brian Ebersole is what you would call a “journeyman” in the world of Mixed Martial Arts. Since the end of his Division I collegiate wrestling career, he’s traveled throughout much of the U.S. and Australia in search of fights and ultimately developing his professional career as much as he can. It’s all been part of the relentless pursuit of his goals and more than anything, Brian has always been willing to work harder than “the other guy”. 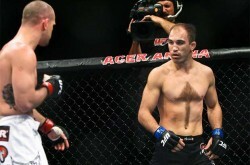 Brian made his unlikely UFC debut against the legendary Chris Lytle at UFC 127 on February 2011 in Sydney, Australia. Scoring a victory by unanimous decision and earning well deserved “Fight of the Night” honors instantly got people’s attention and set him on his way to becoming an MMA master. Two subsequent wins over Dennis Hallman and Claude Patrick have brought his UFC record to a perfect 3-0. Now a seasoned veteran in the sport, Brian has posted 65 professional fights with 49 wins and with a so-called “iron chin”, one of his most note-worthy achievements is the fact that he’s never been knocked out in any one of those 65 bouts. He’s also earned a reputation as a scrappy and somewhat unorthodox, stand-up fighter, as well as one of the most dominant wrestlers in MMA, with a rock-solid defense to boot. In addition to his prowess as a fighter, Brian is also one hell-of-a coach. With a warm and humorous personality, you would be hard pressed to leave a training session with him feeling anything less than empowered and inspired. Through all his incredible success, he still remains a humble guy with incredible patience, knowledge and skill that make him the perfect choice to head-up the MMA program here at Tiger Muay Thai & MMA Training Camp, Phuket, Thailand. always said that I can learn from rolling with a white belt,” he claims. The program is designed and monitored by a Brazilian Jiu Jitsu Black Belt and the evening class is currently under the tutelage of two-stripe Purple Belt, Wiktor Svennson. Wiktor offers a wealth of knowledge and years of professional Mixed Martial Arts experience to his classes. For more information about Wiktor Svennson and the Brazilian Jiu Jitsu program at Tiger Muay Thai, click here. With Division I intercollegiate experience in the U.S. and a reputation as one of the premier wrestlers in the UFC, head MMA coach, Brian Ebersole, has designed an elite program. His dynamic wrestling classes are offered every Tuesday and Thursday afternoon. The focus is on developing technical skills through repetition-based drilling. Click here for more information on Brian and his program. The Mixed Martial Arts program here at Tiger Muay Thai & MMA Training Camp, Phuket, Thailand is a dynamic, intensive Monday through Friday routine. It incorporates all aspects of MMA to include Brazilian Jiu Jitsu, Wrestling, takedown sparring, striking (Western Boxing and Muay Thai) and conditioning. 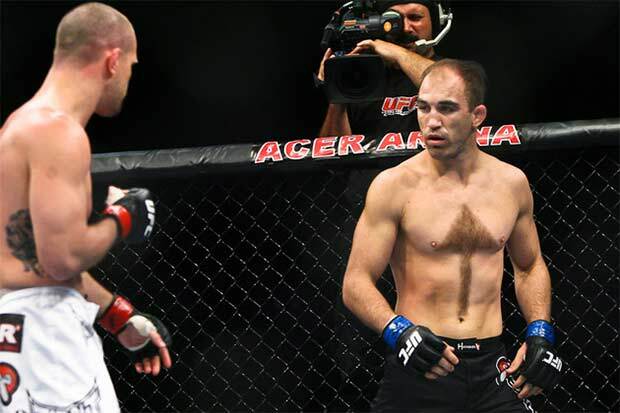 Click here to view the training schedule, as well as information about the head coach, UFC Welterweight Brian Ebersole. Tiger Muay Thai & MMA Training Camp, Phuket, Thailand, offers a world-renowned training program in traditional Muay Thai. The facilities are divided into three rings according to skill level — beginner, intermediate and advanced and guests can attend group classes twice each day. The ability of the guest will be assessed by TMT’s trainers and he or she placed in the corresponding training ring. All Muay Thai classes are instructed by former professional Muay Thai fighters from all corners of Thailand. With a guest to trainer ratio of 4:1, Tiger Muay Thai & MMA Training Camp offers a level of personal attention that is unparalleled by others gyms. One-on-one training sessions are also available upon request. For more information about the Muay Thai program and our legendary Thai trainers, click here. Tiger Muay Thai & MMA Training Camp, Phuket, Thailand offers a wide array of strength and conditioning options to accompany the MMA training regimen. The program is directed by professional strength and conditioning coach and body builder Peter, the “Thai Hulk”. Peter offers his services to guests in the weight room each day from 7:00 AM to 10:00 AM and from 3:00 PM to 6:00 PM. He is also available for personal training, as well as nutrition consultations, upon request. In addition to the strength training program, Tiger Muay Thai & MMA Training Camp offers a fitness bootcamp program designed and instructed by world-renowned trainer Ocean Bloom. The highly intense, highly demanding program runs every weekday morning from 8 to 9 AM. Ocean Bloom also instructs popular spinning and yoga classes at Tiger. Click here to have a sneak peak of what to expect from one of her training sessions.